On Sunday I ran the Run For the Parks 10k (DC) for the first time. There are a few DC races that use the same course and I have always had good luck with them in the past. I’ve been struggling with injuries on and off this year and after my not so stellar Army 10 Miler run a few weeks ago, I was excited to see how I would feel today. 1. PR Racing always puts on a great race. Packet pick up is a breeze in their store the day before. It helps that the store is next to a Peets’s Coffee shop. Getting to and parking at the race on a Sunday morning is super easy. The porta potties were super clean-bonus! 2. Extra Sleep- What better day to do a race then on Daylight savings? Most certainly enjoyed that extra hour of sleep. I don’t know about you but I always have trouble sleeping the night before a race. 4. Race Swag-PR races usually have great swag and this time instead of a shirt we received a great Technical half zip. The material is great and I can’t wait to run in it. bonus we also received a nice finisher’s pin. 5. National Parks-Proceeds from this race benefit The National Parks in DC. All of the monuments and Mall area are part of the National Parks. Living in the DC area, I tend to take for granted all the amazing historic sights. Doing this race, I am reminded how much I am missing out on by not visiting more often. 6. Flat & Fast-This course is very flat and in the past I’ve had some great PR’s on it. I wasn’t expecting that today due to the aforementioned injuries, and I never know how I am going to feel until I start running. Despite the brutal wind coming off of the Potomac River today, I was able to maintain a much better pace than I had expected. Nothing hurt today when I ran and the cool temps made for great running. I ended up having one of my best races in a long time so I will take that. Many of my friends had PR’s today and it is always great to be there with them. 7. 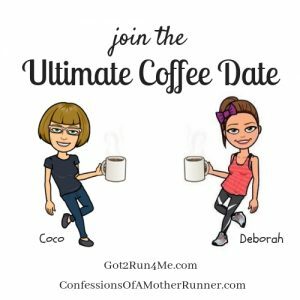 Meet ups-I love having the chance to meet up with and race with other MRTT moms from other chapters. We had a pretty big group today and they make for a built in cheer squad. Twice during the race, I heard someone yell, “MRTT” and it just makes me smile. 8. Race teams- This race always has a big contingent from the local race teams. It always amazes me to watch them run and realize that while I am at mile 2 they have already passed the turnaround and are heading back to the finish. There are some seriously impressive men & women out there. So inspiring! 9. Opportunities-You never know how you are going to feel on any given run. I haven’t felt this good on a race in a while and for that I’m grateful. 10. I love a 1oK-Probably one of my favorite race distances. It is fairly easy to stay in shape for & doesn’t wipe you out for the rest of the day. All in all, a pretty good race! How about you-do you love a 10K? So much love for a 10k–you can have fun with it, race it hard. And what a venue! It’s great to run by all of the monuments and I tend to take our scenery for granted. Sounds like a good event! Maybe next year it will work out for me. It is always a flat and fast course just a little windy last week made it challenging. I do love the 10k distance! Actually, I hadn’t done one for years, and this summer decided to do a local one for fun. I took 2d in my AG! Bonus! Wow that’s impressive! That won’t be happening over here anytime soon but it is probably my favorite distance. I was so happy to run and have no pain. Grrat pics! Your half zip is very nice. It’s nice when races give you something else rather than the usual t-shirts. It is nice to have something different bc I never wear the t shirts. Sounds like a great race! I’ll have to keep this one in mind for the future. Chaitali recently posted…Armpocket review and give away! Sounds like a great time! Running a race in DC is still on my bucket list, I have to make my way down there! Love the swag too! oh yea you do! How about the Rock n Roll in March? i agree- PR Running does SUCH a good job with their races. they are so well organized – happy you had a fun time! I have to confess, the 10k is not my favorite distance. I did a few extra ones this year trying to change my attitude about them…didn’t help very much. But, I continue to try anyway. I just did my favorite 10k on Saturday. It was very windy there too. Love the half zip pullover! Really I love the 10K The half zip was a really nice change from the usual t shirt. Congrats on a great race and feeling so good! Lots of great reasons, looks like you had some fun times. Love the pictures!!! Congrats to you on your finish and great times!!! Thanks! Love the patriotic pictures too! Great pics ! it looks cold! I love the half zip – super nice compared to a t-shirt 🙂 Looks like you had fun- I had a good time at my 10K this weekend too! and it was chilly for Florida as well! Mary Beth Jackson recently posted…Avg vs. Awesome? Run with friends! Great race re-cap, Deborah! This was a fun race and I will do it again with you next year 🙂 The breeze was fierce, but moved us along the course nicely (at least for the first 1/2 or so). 10ks are great, but the 10-miler is still my favorite distance; just wish there were more of them! Extra sleep is a great reason to love this race! And I had a few extra mini snickers bars :). 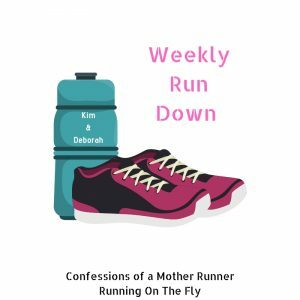 I also love 10k’s for the same reason – I don’t feel like my whole worls revolved around training for it! Absolutely! And yes the extra sleep was great. I am always nervous the night before and have trouble sleeping. that’s a great way of thinking of it! Amanda H recently posted…I’m A City Fit Girls Ambassador! It’s a really flat course. They use the same one for the Veteran’s Day 10k this weekend as well. Yes happy to be feeling better too! That technical zip is awesome. I have a friend in DC who runs and the races always look amazing. There are only a few 10K’s in Asheville, but it is a race distance I really want to try more of! Out of all my races, I’ve only run one 10K! I’ve never done this race, I’ll have to try it next year. I agree, PR puts on fantastic races and great swag! 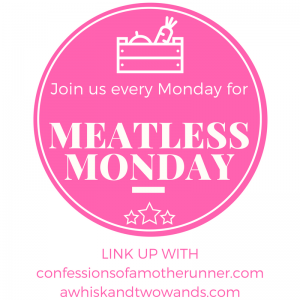 Catherine | Fit Armadillo recently posted…Can’t Grow a Movember Mustache? Celebrate MOVEember! You are going to have to come do a race with me sometime or we can meet half way where ever that is! Thanks it’s a beautiful place to run for sure. May I ask where you found parking on race day? Thanks! We parked on Constitution you just have to get there early. Have a great race!